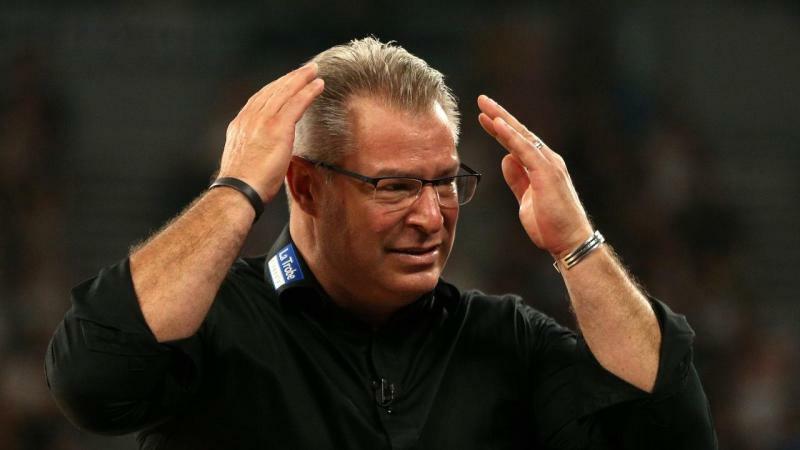 Melbourne United coach Dean Vickerman is hoping to keep his talented roster together despite falling short of a second-consecutive NBL title. Vickerman guided the club to last season's championship via star imports Casper Ware and Josh Boone, alongside Boomers sharpshooter Chris Goulding. The addition of DJ Kennedy and Mitch McCarron, plus veteran David Barlow returning to his best, helped United to advance to the championship round but it wasn't enough to prevent Perth's ninth crown. "There is a core group of players that have been pretty special over these last two years," Vickerman said after Melbourne's championship defence ended with Sunday's 97-84 game-four loss to the Wildcats. "It didn't pan out but, to give ourselves a chance to go back-to-back, you celebrate that. "It's elusive right now in sport, and I hope this club gets another chance at it at some stage to try and get that one done." Down 2-1 in the best-of-five series, United needed to win at Melbourne Arena to force a game-five decider in Perth but were down by eight points at halftime. In a strong start to the second half, they levelled the scores but, with Bryce Cotton (28 points) pulling the strings, the Wildcats regained control. The first three games of the series swung to the home side during the third quarter, but Perth broke that trend on Sunday as they extended their halftime lead before powering home in the fourth stanza. "I liked the way we came out in the third and got that lead back," Vickerman said. "We scored 10 points in the first five minutes, and get in the bonus in three minutes, but then score two points in the last five minutes. "If I could change anything, I would go back and somehow get to the foul line another six times and make a few more shots during that period." Ware top-scored for Melbourne with 18 points but only made three of 12 field goals as he battled through soreness from game three. "The amount of screens that he was required to get through, he took multiple knocks on a spot on his knee," Vickerman said of his floor general. "He wasn't doubtful today but we knew that he was pretty sore and, at times, he looked like it today, but he was a warrior."